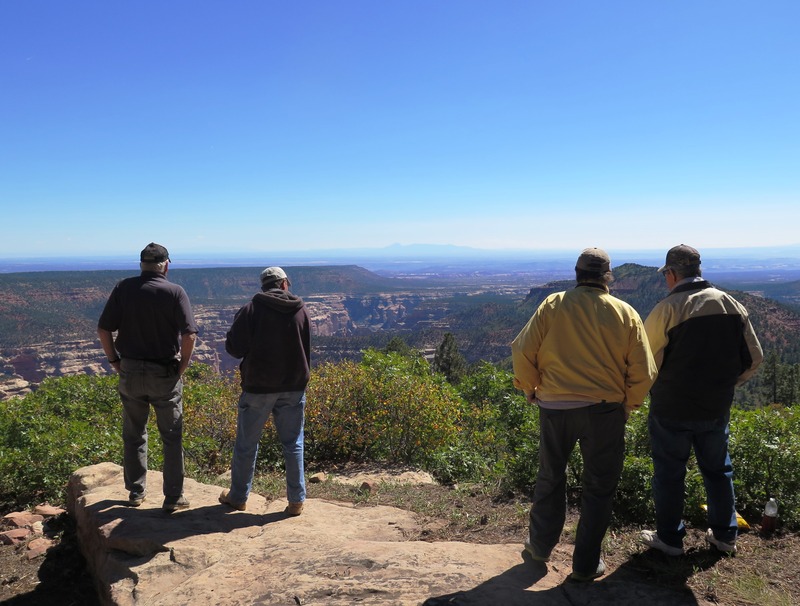 After the designation of Bears Ears National Monument in the end of December, our office was hit pretty hard with calls, many from ATVers, asking about the status of the ATV trails in our county. Many people seemed to assume that all our trails were closed, but in fact, the proclamation did not open or close any roads. 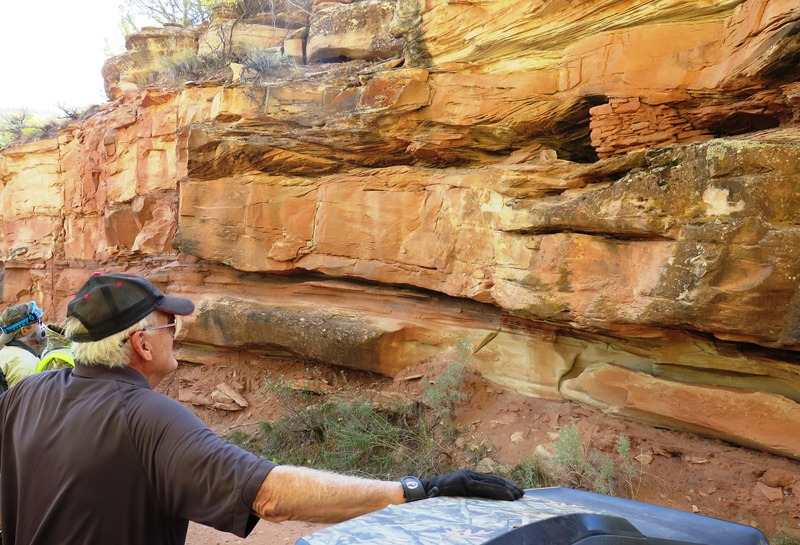 All roads and trails that were open before the designation are still open, and anything that was closed before the designation is still closed, which means that all our ATV trails are still OPEN! 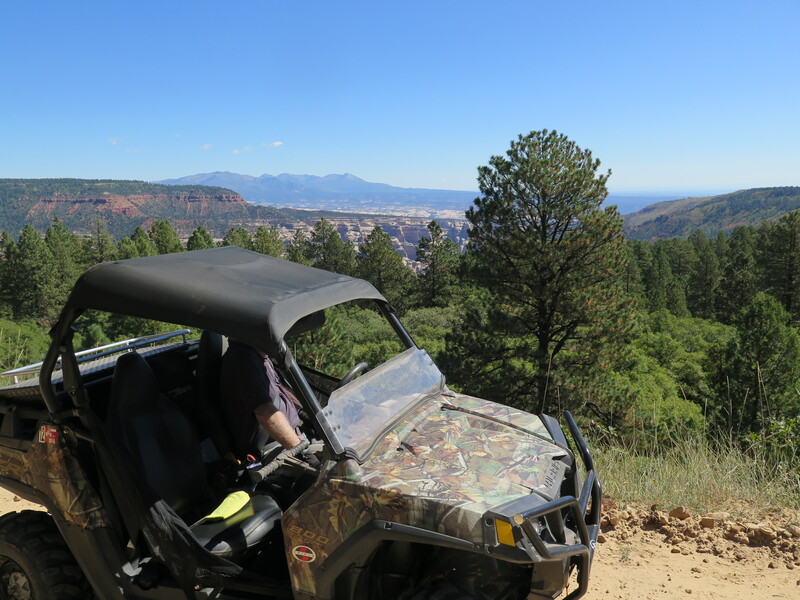 And with the 2017 San Juan ATV Safari quickly approaching, (Sept. 14-16) I thought I’d go ahead and post this short write-up on the ride I got to go on at last year’s Safari. Last year about a month before the Safari, I was lucky enough to be put in contact with a man named Russ- a rider who was going to be bringing his side-by-side and had an extra seat that he offered to me if I wanted to ride along. I definitely wanted to take him up on it, but the weekend of the San Juan Safari is always a busy weekend in San Juan County- it usually falls at the same time as the Utah Navajo Fair in Bluff, and as I mentioned in one of my last blog posts, we never miss the parade, so Saturday was definitely out. I ended up riding along on Friday on the Elk Ridge Trailride, which was awesome- perfect weather, beautiful scenery, and great company! 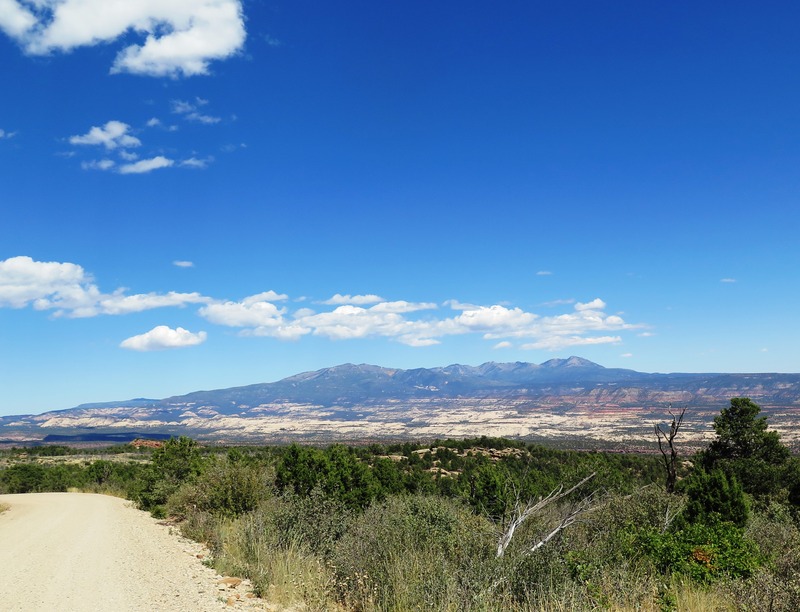 The host city for the San Juan ATV Safari switches back and forth each year between Blanding and Monticello. Last year the host city was Blanding which really just means that registration and the closing banquet are held in that town. Riders can stay in either Monticello or Blanding, and I think there are probably quite a few people who have been coming for years and have a favorite place to stay, but I think others probably just stay in the community where most of the rides they’ve signed up for will be leaving from. 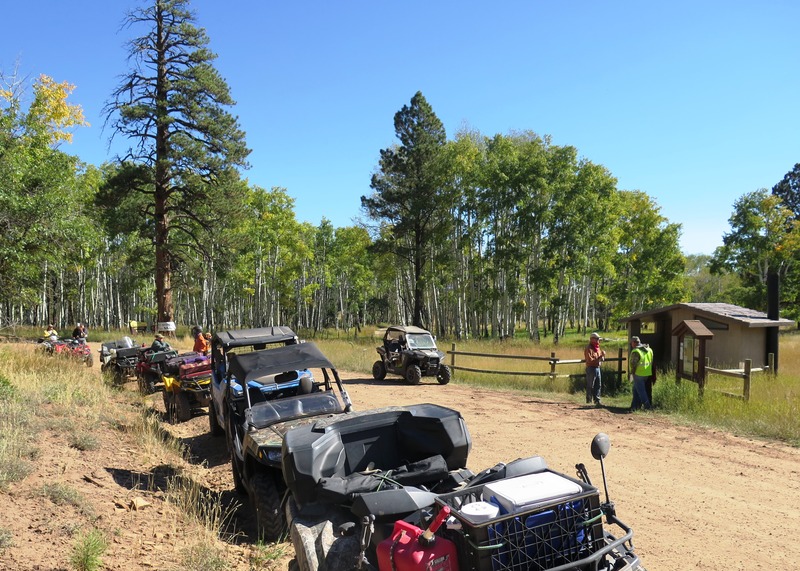 Since I was going to be riding along on the Elk Ridge Trailride, we were meeting bright and early in Blanding to check in with the guides for the day and then caravan out to the staging area where we’d unload our machines and start the ride. I think we ended up with about 13-15 people on our ride- there were several from Montana, Arizona, & Utah, and at least one rider from Texas, as well as a couple locals. Our first stop was just about 10 minutes into our ride, and it was to look at a small granary right along side the road. 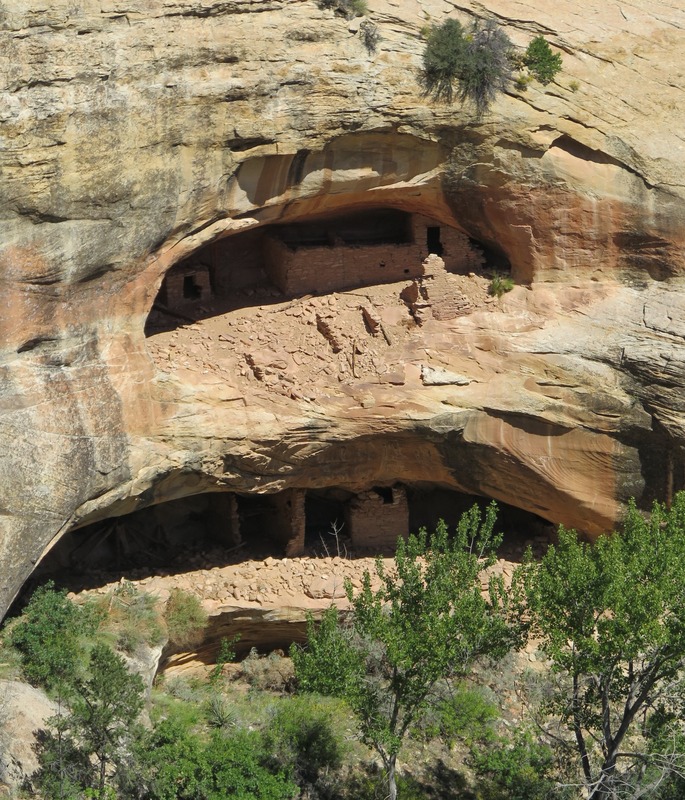 It was very small, but it’s always cool to get to see ruins, and it was nice that it was right along the road- we really didn’t even need to get out of/off our machines to see it, but many of us did anyway to get a better angle for photos. 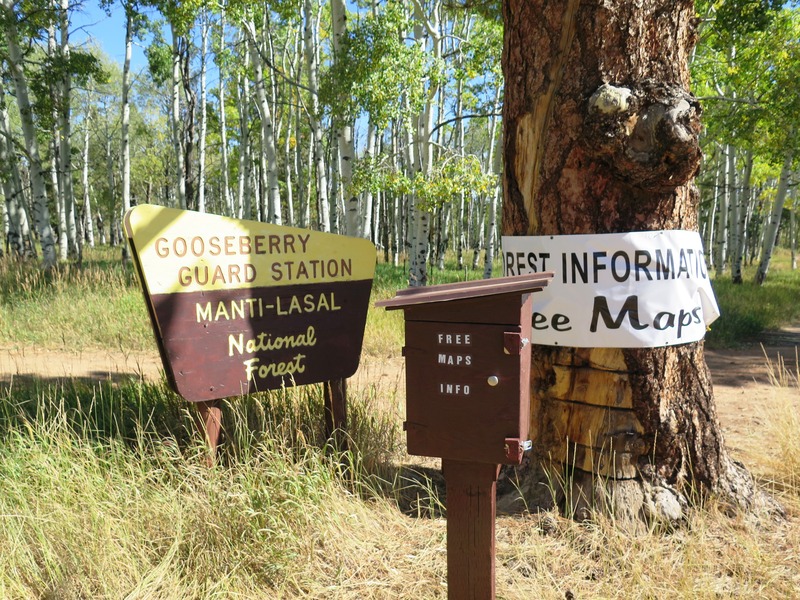 We continued down the trail, which was actually a county road not a true ATV trail, until we reached the Gooseberry Guard Station. It was really gorgeous up there, and it couldn’t have been a more perfect day for riding- sunny, but a little on the cooler side in the morning which turned into the perfect temperature by the afternoon. I was surprised to see that the Forest Service stocks this location with free maps & information, which made it a great spot for a break. And thanks to another unexpected surprise- an actual vault toilet- it was a good restroom break as well! The views from the road were gorgeous- my photos don’t even begin to do it justice. It was a completely cloudless day, and I think that most of my landscape photos were taken pretty close to noon, so maybe the sun was directly overhead or something… I’m not sure, but my photos don’t at all show how beautiful it was up there! 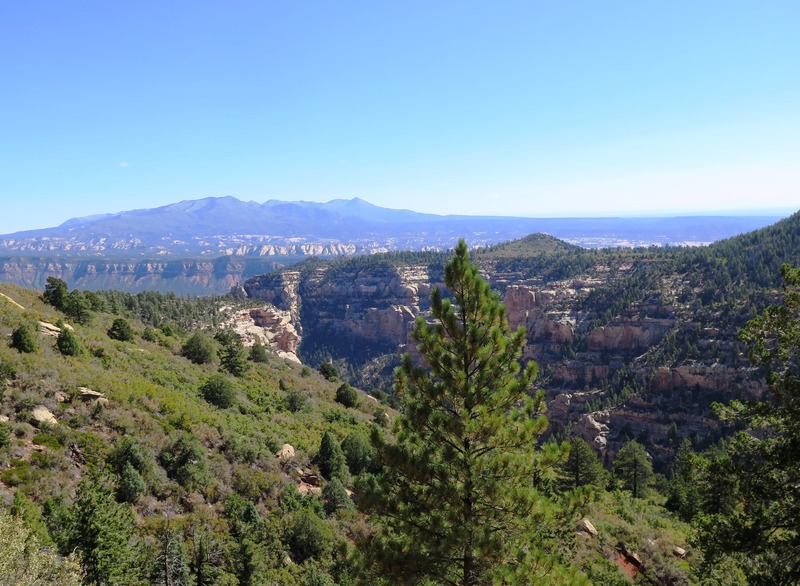 We stopped for lunch at an overlook into Arch Canyon. 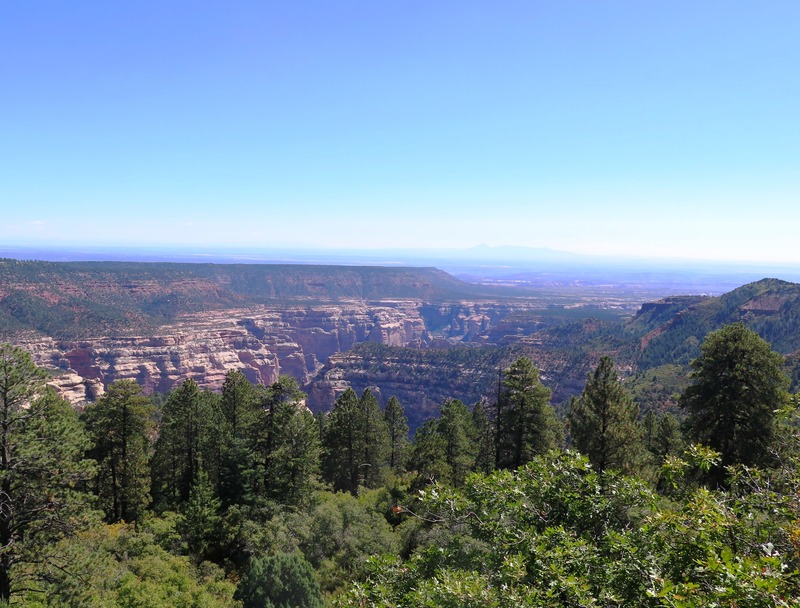 This overlook was really interesting to me because I’d been to the main Arch Canyon Overlook before, (Read my blog entry on it HERE) but this spot was on a different rim of the canyon, so it took me a while to get my bearings and figure out where exactly we were in relation to the other overlook. 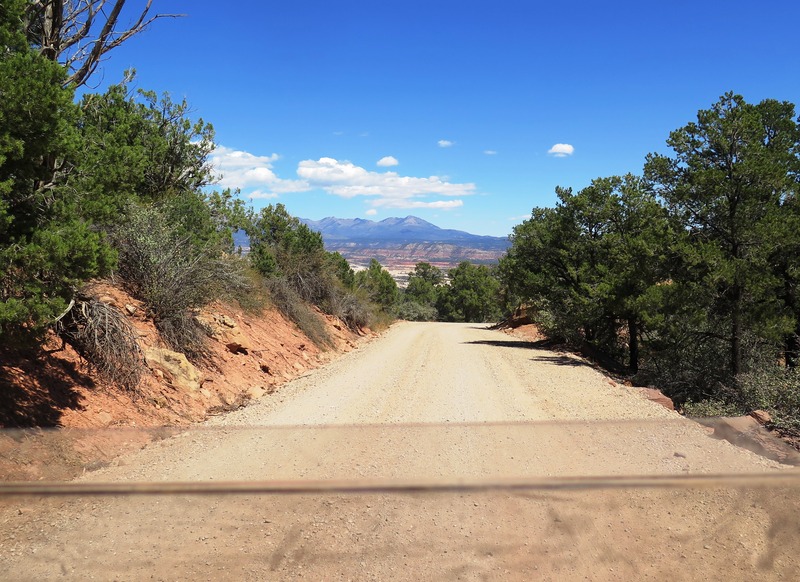 I think I finally figured it out though- it helped that the Sleeping Ute Mountain was in the background- distant landmarks always help with orientation! We all got out our lunches and sat around enjoying the great view and chatting while we ate. We had enough time after we were done to walk around a little before it was time to mount up and head out again. The views after lunch were just as nice as the views before had been, and the nice fluffy clouds that had moved in by that point didn’t hurt either! With full stomachs, we happily enjoyed the laid back ride to our last stop- Over Under Ruin. Getting from the main road to the ruin was the only technical part of the ride that day. To me it was pretty rough, in fact, there was a parking area just off the main road where several passenger vehicles had parked and the people were hiking in from there. But since we were on ATVs, we were able to drive almost right up to the overlook for the ruin. The ruin was awesome! It’s really unique- I’ve never seen one in two separate alcoves stacked on top of each other like that. 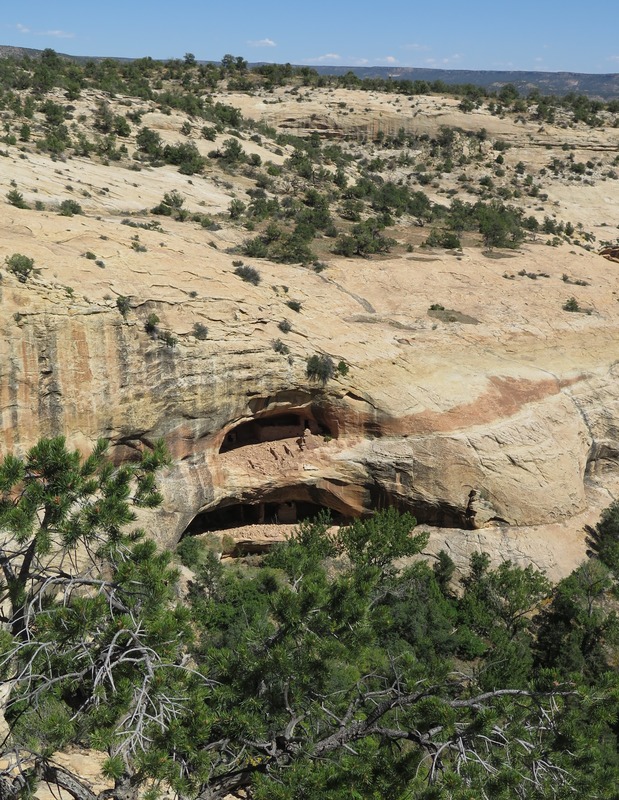 I’d heard about Over Under Ruin before, but didn’t really know where it was located, so I was happy to find out and to see that it’s so easily accessible even if you have to walk from the parking area- it couldn’t have been more than about half a mile or so. After visiting the ruin, it was a fairly short ride back to the staging area. The Elk Ridge Ride is one of the longer rides that you can do on the San Juan ATV Safari at 63 miles, (the only ride on the Safari that’s longer is North Long Point at 76 miles) but since it’s mostly on maintained gravel roads, it’s a fast ride, and I think we were back to our vehicles by 3:00pm or so. 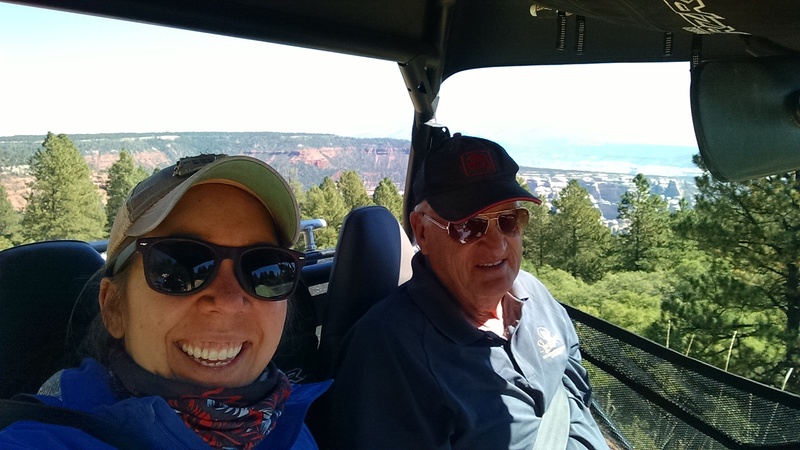 If I hadn’t had this blog to look back on, I would have guessed that it had been 3 years or so that I first rode along on the San Juan ATV Safari- I was so surprised to see that it had actually been FIVE years! Luckily, Russ and I got along great and he has given me an open invitation to ride along with him any time he comes down for the Safari! I’ll definitely be taking him up on his offer… and I won’t wait another 5 years to go this time- hopefully it’ll be a yearly thing from now on! The 2017 San Juan ATV Safari will be held on September 14th-16th. Please visit www.sanjuansafari for more information or to register! 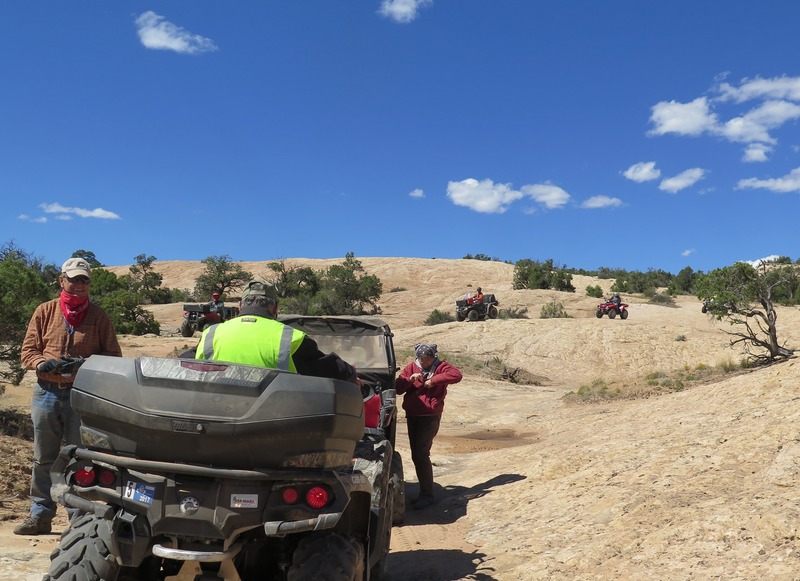 This entry was posted in ATV, Blanding, Events, Fall, Off the Beaten Path, Scenic Drives, Tours, Tours/Guided Trips, Travel, Utah and tagged ATV, Blanding, Events, Off the Beaten Path, Tours, Travel, Utah. Bookmark the permalink.